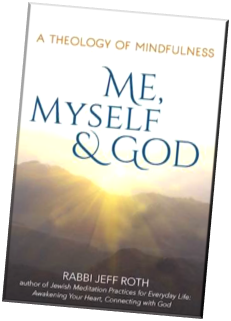 We hope that the resources and tools on our website enhance your experience of Jewish meditation and prayer. Love is the true nature of the Divine Unfolding of Being. You are that as well. Our love for each other is who we are. This is the message that I hope you will take away from our exploration. The mission of the Awakened Heart Project is to promote Jewish contemplative techniques that develop a heart of wisdom and compassion. We believe that cultivating an awakened heart can lead to an expanded perception of the world and the possibility of bringing our awareness to a meeting of the Divine Presence in every moment. The Awakened Heart Project aims to refine such contemplative techniques, while also creating opportunities for intensive Jewish meditation practice. Interested in staying informed about Jewish meditation? Join our mailing list. Want to support Jewish meditation? All talks and articles on this website are offered by donation. Click here to donate now.